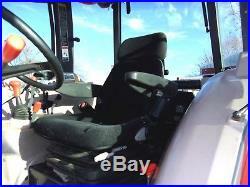 Kubota M9540 Cab Tractor with Kubota LA1353 Loader with Skid Steer QT Bucket. 2006 Year Model with 2141 Hours. 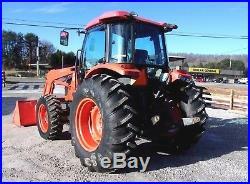 This is a 1 owner tractor. Came off local Hay and Cattle farm here in Kentucky. 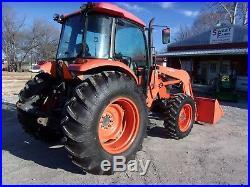 This tractor was bought from an estate out of Allen County. It was only used in hay production and some rotary cutting. 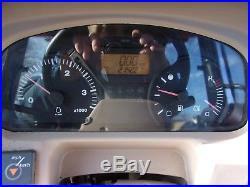 The tach and hour meter is working. Tractor dyno tested for engine performance and lift tested by lifting up rear in of a cab tractor. Tractor runs out great. No mechanical issues found it is in excellent condition. Tractor has radio, heat and air condition and all work great. 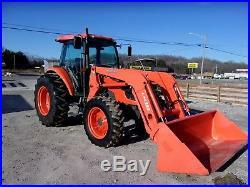 Comes with Kubota LA1353 QT Loader with 72 Material Bucket. 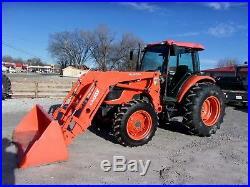 Bucket is Skid Steer Quick Attach. PTO comes on and stops as it should. 3 point Lift works fine and position control functions as designed. 8 Speed Transmission with mechanical shuttle shift for forward and reverse. (before adding the weights). 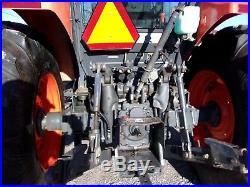 All lights, turn signals and flashers work on tractor. Dual remote hydraulics in rear. 95 HP Engine and 84 HP PTO. Rear Lift Capacity 5510 lbs. No touch up any place. Financing is available through Agdirect Farm Credit Services. 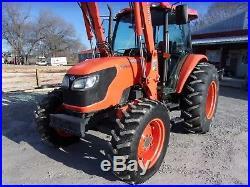 We believe this tractor is mechanically sound and will last you for many years. 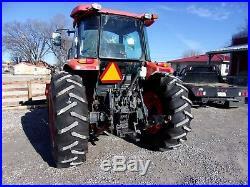 However, it is a used tractor and sells AS-IS. No warranties or guarantees expressed or implied. You are encouraged to come by our store and inspect tractor before purchasing or ask specific questions through Ebays messaging system. Easy Access, Only 30 seconds off the interstate exit ramp. Checks will be accepted, however, they must clear. Banking channels before the item can be. This item may be. Picked up at our Munfordville, Ky Store 42765 Located on Interstate 65 at. (about 30 seconds south of the exit ramp). Are about 1 hour South of Louisville, KY. And about 2 hours North of. We are open to load you anytime Monday-Friday 8-4 and Sat 8-12 Central time. We can deliver on a 30 ft gooseneck trailer that is 3 ft off the ground at the back for dock unloading or. It has ramps and dovetail for pull off unloading. We will not get off blacktop or gravel driveways. When the truck pulls up, the driver will take off the binder chains and the. Responsibility for off loading is completely yours. Please note, that after your item is paid for, we will keep your machine here for up to 3 months. Exact condition that it left in. Will be considered & we will not renegotiate sale price. NOTE: Because we own and operate 2 retail outlets in Ky, we do reserve the. Thank You For Looking and May God Bless The USA. Sweet Farm Equipment LLC. I-65 Interchange (1 minute south of the Exit 65 Off Ramp). 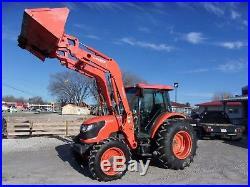 The item “Kubota M9540 4×4 Cab Tractor with Loader (low hours) CAN SHIP @ $1.85 loaded mile” is in sale since Friday, January 26, 2018. 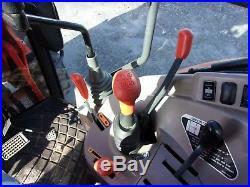 This item is in the category “Business & Industrial\Heavy Equipment\Tractors”. 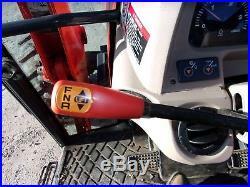 The seller is “sweetfarmequipment” and is located in Munfordville, Kentucky. This item can be shipped to United States. This entry was posted on Tuesday, February 6th, 2018 at 5:57 pm. You can follow any responses to this entry through the RSS 2.0 feed. Both comments and pings are currently closed.